I've already explained how I feel about sports, so Style Me Pretty Living's all-pink "Anti-Super Bowl Party" definitely speaks to me. As does this hilarious video titled "Sports, Go Sports!" (You seriously have to watch it). But if you are hosting or attending a football celebration on Sunday, Studio DIY has two free printables: Super Bowl Bingo and Commercial Ratings Signs. Even if you are looking forward to actually watching the game, an activity would be helpful for those who aren't! 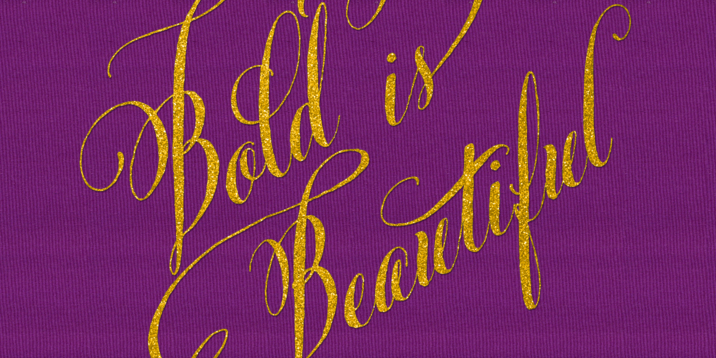 The designer of the beyond beautiful font Belluccia just released an update, Belluccia Bold! Belluccia is the font I chose for my wedding invitations - it's modern calligraphy in the best way. And designer Debi Sementelli has generously offered a 40% discount for A Bar Cart in Brooklyn readers! Click here to view the font and use the promo code "barcart" for your discount. Thank you, Debi! Delighted Magazine (who was kind enough to feature my holiday gift guide in their previous issue!) 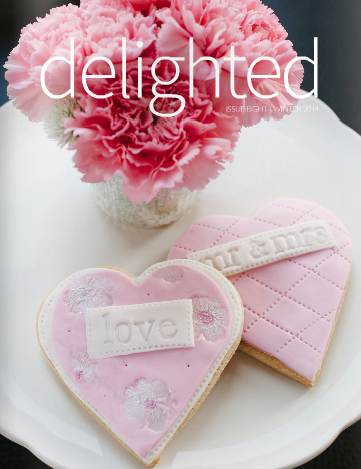 just released their Winter 2014 issue - so much prettiness in those pages. I especially love the Valentine's Dinner Party spread (of course). Sugar Paper - who makes my absolute favorite stationery and paper products - has teamed up with J.Crew. When I first heard this was happening, I needed a moment to let it sink in. I knew this partnership would result in absolute perfection. These bubbly place cards (which coordinate perfectly with my favorite coasters) are definitely going on my Valentine's wish list. These gift tags would elevate any thank you gift, these coasters would be perfect for an engagement party or bridal shower, and this wedding planner is (almost) enough to make me want to go through wedding planning all over again. Well done. Dwell Studio is having a great sale: 20% off their "must-have list for effortless hosting" this weekend. Crate and Barrel is also offering 15% off bar cabinets and bar carts. And One Kings Lane has a "Set the Bar" sale featuring the gold stemless champagne flutes seen on my bar cart and the gem bottle stoppers by Brooklyn Thread that I fell in love with at West Elm's "Meet the Makers" event. You can pass those links along to your sweethearts and hint at what you'd like for Valentine's Day. And for those of you who need gift ideas, next week I'll be focusing on gift guides - for guys, girls, and foodies!